1.) 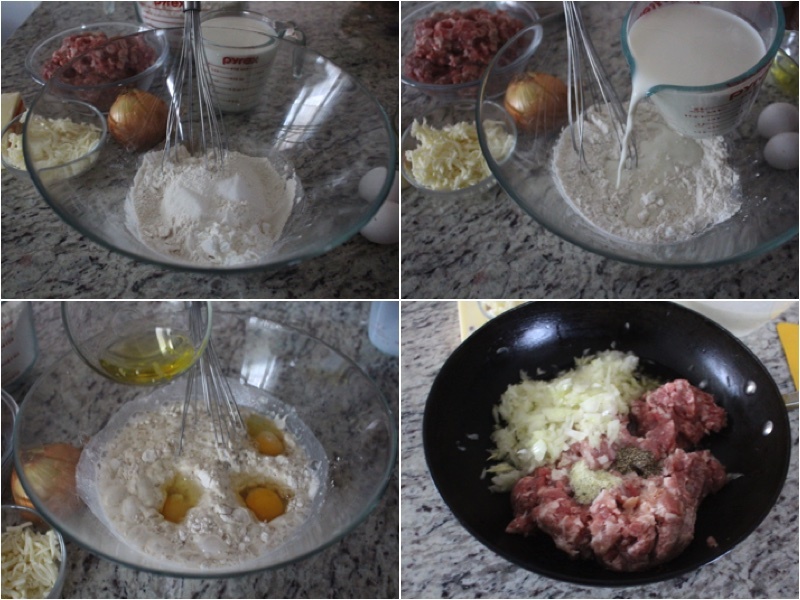 In a large bowl add flour, sugar, salt, milk, olive oil and eggs. Mix together well. Place your pork on a hot oiled skillet with onions and seasoning. 2.) Fry your pork for 15 minutes on medium heat while mixing occasionally. Using the dough mixture use a soup spoon and pour it onto a hot skillet and spread evenly. Let it cook for 30 seconds and flip then after 10 seconds take it out. 3.) 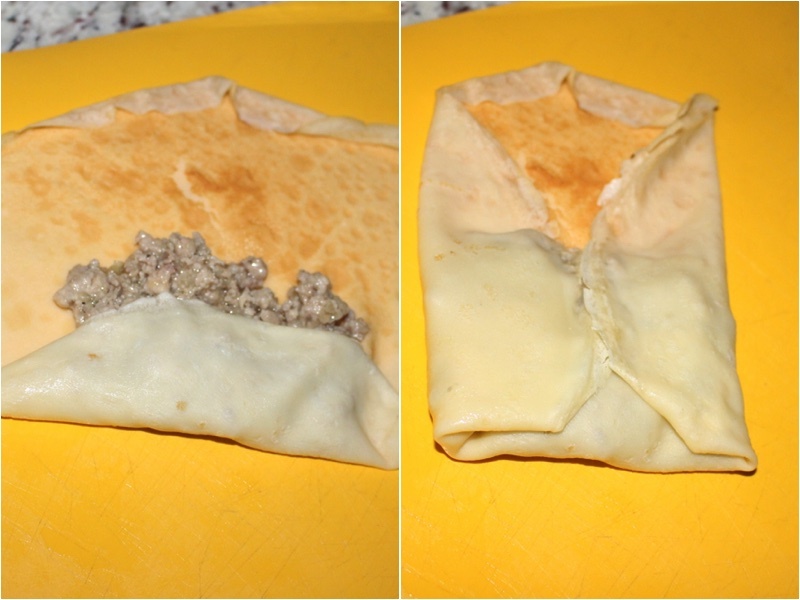 Put your fried pork in the middle of the dough and fold it over to make an envelope. 4.) 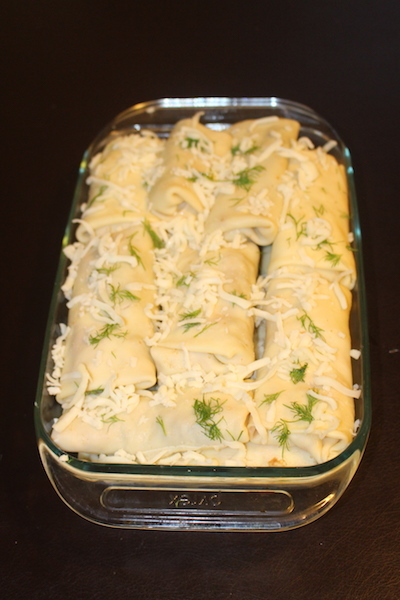 Place all of your envelopes into a glass baking pan and add cheese and butter on top. 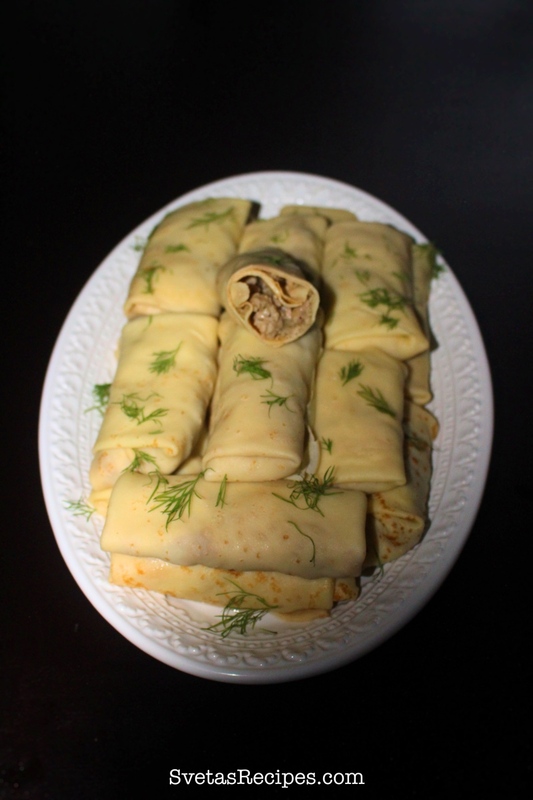 Cover it with tin foil, place in the oven and cook for 10 minutes on 400ºF. Place on a serving dish and enjoy. 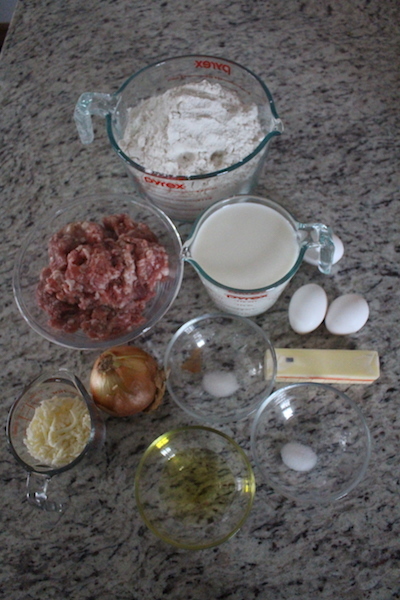 In a large bowl add flour, sugar, salt, milk, olive oil and eggs. Mix together well. Place your pork on a hot oiled skillet with onions and seasoning. Fry your pork for 15 minutes on medium heat while mixing occasionally. 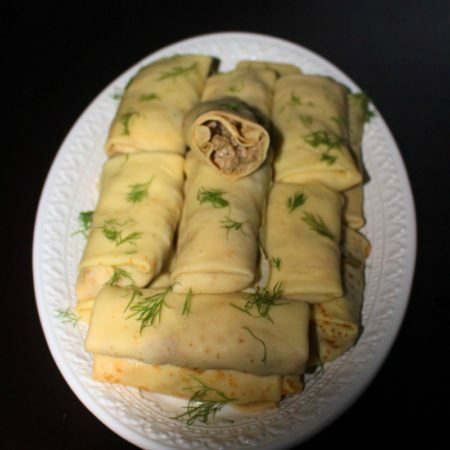 Using the dough mixture use a soup spoon and pour it onto a hot skillet and spread evenly. Let it cook for 30 seconds and flip then after 10 seconds take it out. 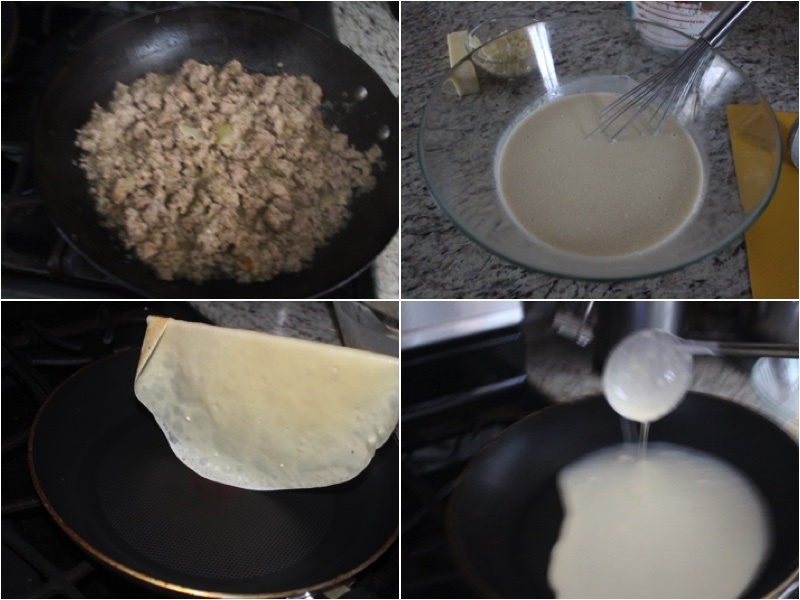 Put your fried pork in the middle of the dough and fold it over to make an envelope. Place all of your envelopes into a glass baking pan and add cheese and butter on top. Cover it with tin foil, place in the oven and cook for 10 minutes on 400ºF. Place on a serving dish and enjoy.